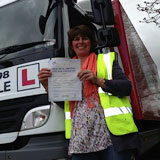 The LGV/ HGV training: the LGV training is meant for all those vehicles that are larger in size and carries goods. 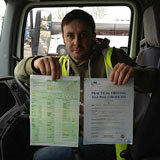 Similarly, the HGV training is for the heavy goods carrying vehicles. There are also the driver CPC training that is also an essential requirement for the professional drivers with the LGV and the HGV license. All these trainings are available at GP training in Reading, London. The best thing about our center is that there are excellent trainers associated with us and all of them are also registered with the DSA. They are also experts in multiple languages and thus in case you are not a native English speaker, you need not worry at all. 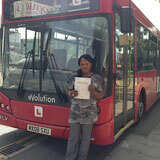 You can easily enroll at the GP training in Reading, London and learn driving in the language that you feel comfortable in. Our institute also boasts of the best quality vehicles that come with dual access controls that are used for the purpose of training. Since these vehicles are used with dual access controls, there is absolutely no chances of any mishaps or accidents. It is also needless to mention that when you are on the road plying a vehicle, you have to follow certain traffic rules, so that the overall safety of the society and its people are not at stake. Keeping this factor in mind, we have the course materials designed in such a manner that it has a good combination of both the theoretical rules and also the practical demonstration of driving. The driving license is issued by a dedicated agency and they look into certain factors in individuals apart from their driving skills for issuing of the driving license. For instance, some of the deciding factors are the age of the driver and also the eyesight. The trainers with us are all knowledgeable and also experts in their own domain and thus it is needless to say that they are the best people to teach you driving and also make the experience extremely fun. Here are some of the brief details about the various courses in driving that you can avail from the GP training in Reading, London. 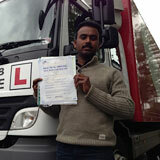 The LGV/ HGV training is mainly designed for the heavy goods carrying vehicles and also the larger sized goods vehicles. 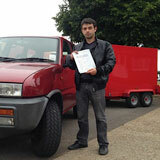 There are several sub categories in this course like the C, C1, C+E and C1+E, B+E car and trailer training etc. Depending on your requirements and also on the weight specifications, you can choose the training program for your benefit. The PCV training is meant for the passenger carrying vehicles. Here too, there are many sub categories in this training module as well like the D, D1, D+E, and D1+E, D automatic bus and D1- Minibus. The last two categories are for all those vehicles that are operated manually. There are of course some factors that are associated with this kind of training programs. The factor is the number of passengers that are carried on the vehicles which requires you to have the D category license. The Driver CPC training: this is the training that is an essential requirement for all the professional drivers with the LGV and the HGV training certifications. The CPC training stands for the certification of professional competence. 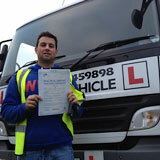 The CPC training can also be done along with the driver CPC modules and the CPC theory tests. There are also the CPC case studies are also available with us that can be helpful for you in enhancing the driving skills and also teach you about the various aspects of traffic rules. 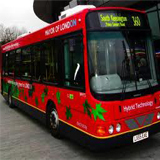 There are also such useful services like the PCV pass protection and the pass protection that are available with us at GP training, in Reading, London. 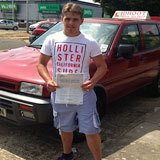 With these services, you can reappear for the driving test in case you fail to clear the test at the first attempt. Of course at GP training, you can also get complete assistance with all the paper works that are associated with the issuing of the driving license. We will also send those completed forms to the DVLA on your behalf while you take the driving training lessons without worrying at all. All these advantages are only available with us at GP training in Reading, London.